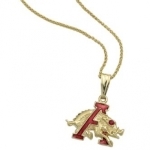 With the upcoming Razorbacks Kentucky game just right around the corner, what better way to support the Razorbacks and the NWA community than by wearing a piece from Underwood’s Razorback Collection? Our collection offers a wide range of jewelry including pendants, bangles, and earrings. 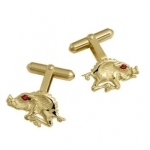 All pieces are perfect for any Razorback occasion. Whether you are a student, parent, or simply a sports fan, Underwood’s has exactly what a hog fan is looking for. Our staff is made up of Razorback fans, all ready to assist you in your HOG needs. Be sure to stop by our store or shop our collection online.